36-year-old female. A. 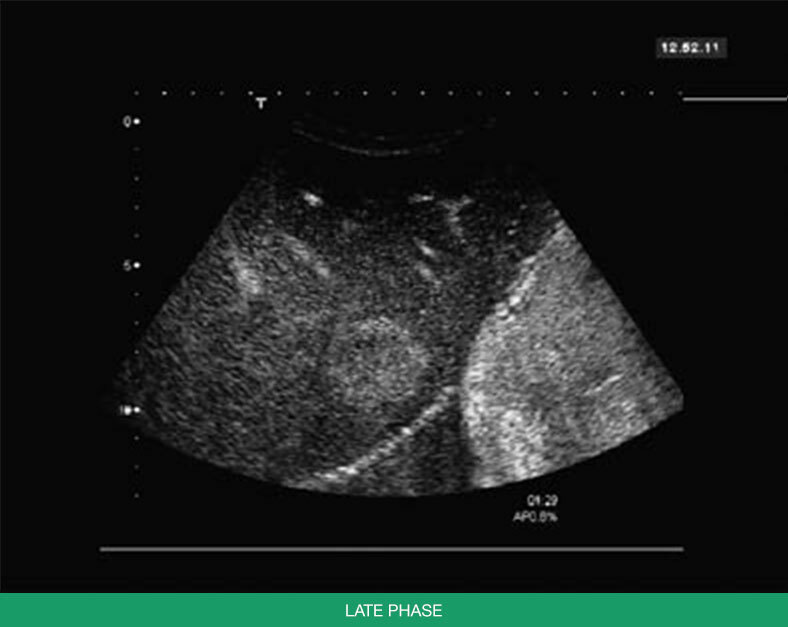 4.0 cm hypoechoic lesion B-mode sonography. B. LUMASON showed a peripheral enhancement with nodular contrast accumulations in the arterial phase. C. Slow progression of the enhancement from the periphery toward the center of the lesion, with a broader peripheral enhancement zone seen in the portal phase. 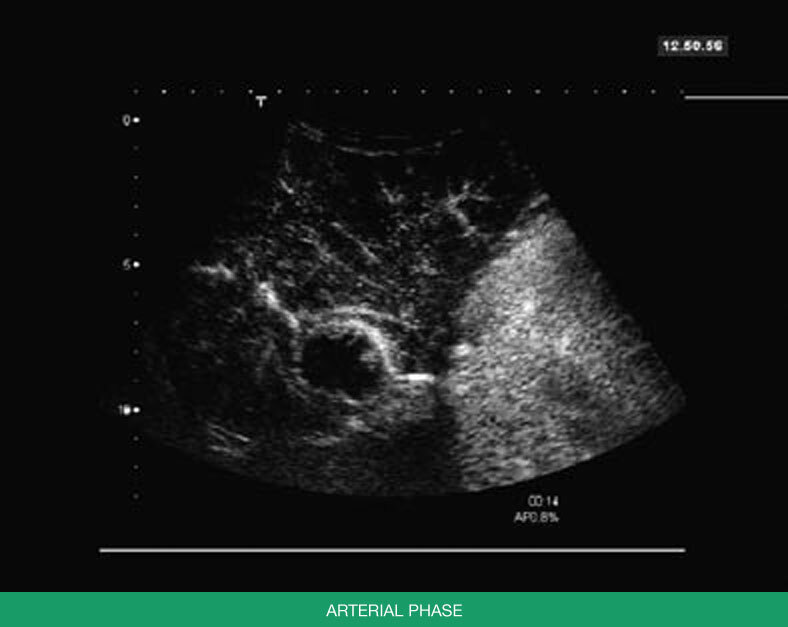 D. During the late phase, the lesion is completely filled with contrast and appears hyperenhanced compared to the surrounding normal liver tissue. The enhancement pattern is typical for a hemangioma. 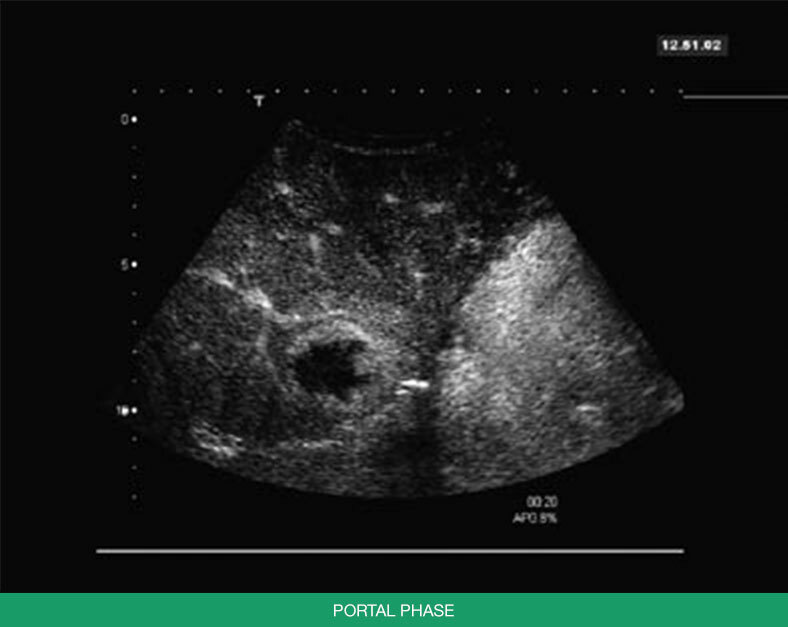 Ultrasound image is reprinted with permission from World Journal of Gastroenterology.3 Individual results may vary. *Statistically significant improvement from non-contrast (P<0.05 based on McNemar's test). The individuals who appear are for illustrative purposes only. Individual results may vary.